Check this out for a transformation! Another brilliant outcome from our team. Another one completed recently. Fireplace removed and replaced with like for like oak. Completely restored and finished with 3 coats of Loba viva Matt. What does everyone think of the outcome? 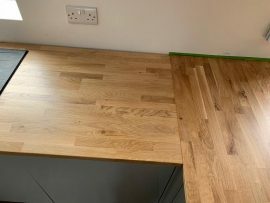 Oak worktops sanded and refinished in our local area using Loba Fusion 2k for maximum durability. 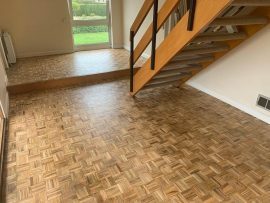 Mosaic parquet completed recently. Sanded and totally restored, all gaps filled and finished with 3 coats of Loba Viva Matt. A brilliant result – do you agree? A Sunday shift complete here at @marcusaldersonestateagents in Richmond. 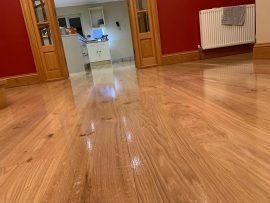 Oak floor sanded and sealed using Junckers HP Commercial Ultra Matt. 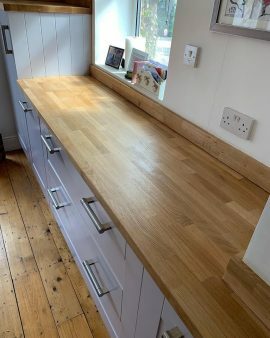 Another job completed recently on these oak worktops. We sanded away the oiled finished and added 3 coats of Loba Fusion for maximum durability. 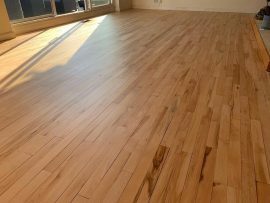 It’s been a while since we have worked on a maple floor, but after seeing the results on this one we are looking forward to the next! 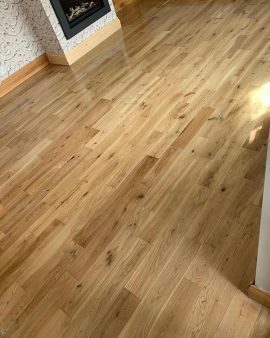 Sanded and refinished using Loba viva Matt. Another job completed locally. 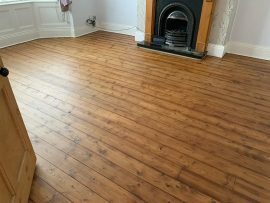 Pine floorboards fully restored and filled to prevent drafts, stained and 3 coats of Loba viva Matt. What does everyone think of the result? Wow what a transformation! 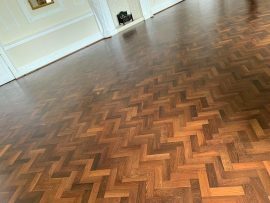 After years and years of polish, this floor was well over due some love! 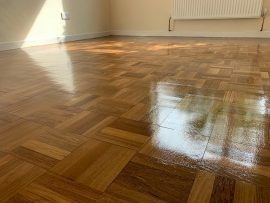 Sanded and fully restored, finished with 1 coat of Loba primerseal plus and a further 3 coats of Loba Fusion 2k. 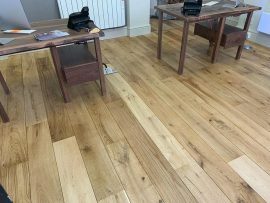 Solid oak floor restoration completed recently. We sanded and totally restored the flooring, finished with 1 coat of primerseal plus and 3 coats of Loba Viva Matt. What do you think of the result?